Wooded area that belonged to C.W. Kruse. He had several Canada geese and a few white ones. Two are visible in foreground. Date of picture thought to be about 1953. Description Writing indentation appears on front. 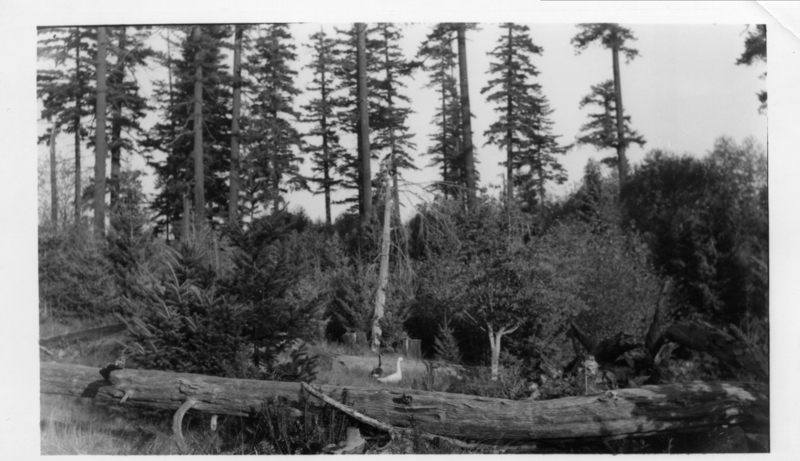 Transcription Wooded area that belonged to C.W. Kruse. He had several Canada geese and a few white ones. Two are visible in foreground. Date of picture thought to be about 1953. Physical Description H 3 1/2"" x L 5 3/4""